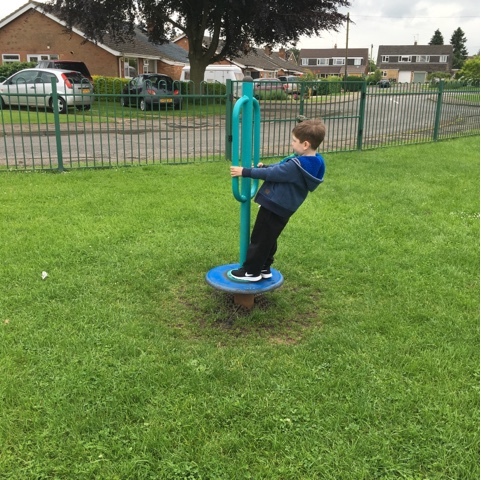 We've been trying to find lots of great local places to play on our Friday 'Mummy and Thomas Days' trying to make the most of them before T heads off to school and our weeks changes. 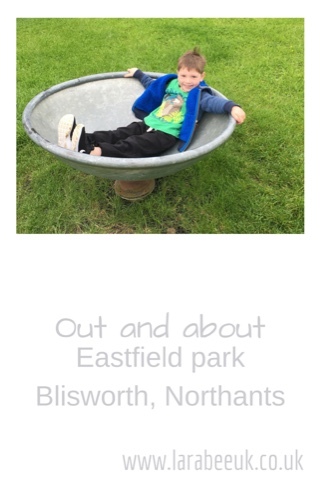 Eastfield park in Blisworth has been there for years, in fact I used to play there as a child, although it has changed quite a lot since those days! 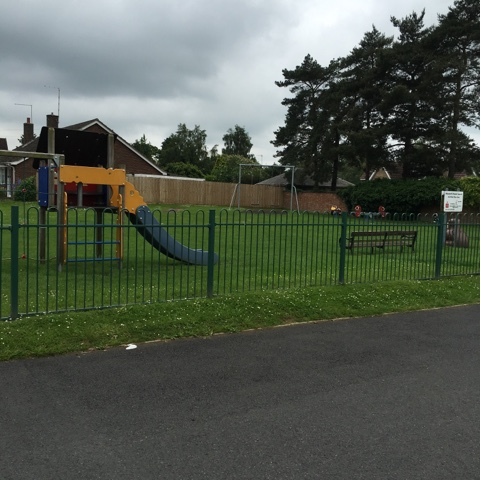 Now it's completely enclosed by a gated fence making it really safe for children to play. Dogs are not allowed in and neither are children over the age of 12! 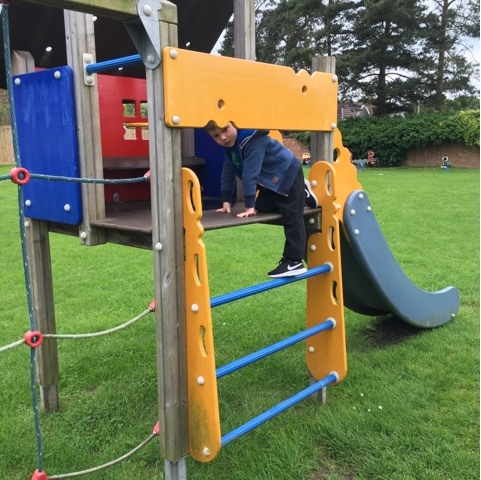 T liked the new climbing frame and slide! 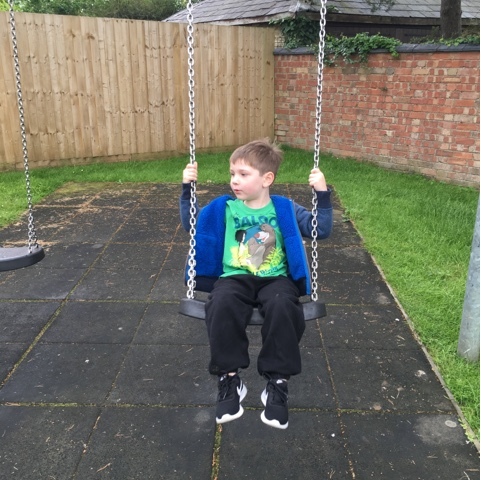 I'm sure these swings were here when I was small, but there's now a spongy Tarmac base which I'm sure would be much nicer to fall on than the hard grass! 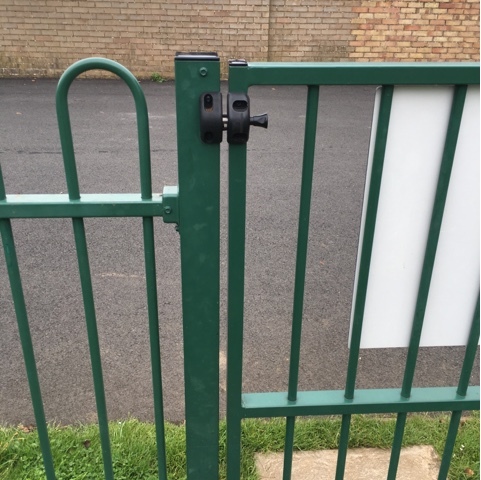 I really liked that the gate lock was really high, making this park a really safe place to take smaller children. Considering it's so close to us I'm sure we'll be going again soon! If you liked this post and you are local to Northamptonshire or just visiting us, you can see all of our local out and about posts here. Good to make the most of the time now. I loved the year before my son went to school and I wasn't working. It's great to pass an hour in the park isn't it? Looks like the rain was just about holding off too! 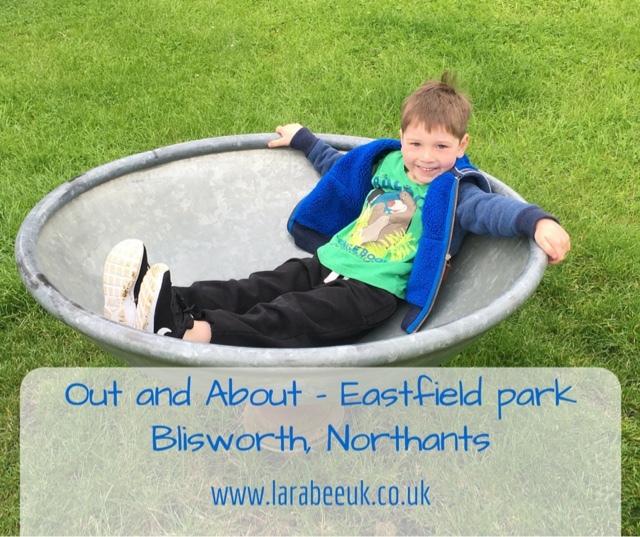 It must have been odd taking your own little boy to the park where you once played and even finding the swings in the same place. It does sound a good safe park and not too busy either. Enjoy these last few Fridays together. That looks like an awesome playground! Small details that makes it nicer and for parents to feel safer for kids to play there is a nice touch too!